Copper Mountain Resort is perfect for all levels of skiers and snowboarders. 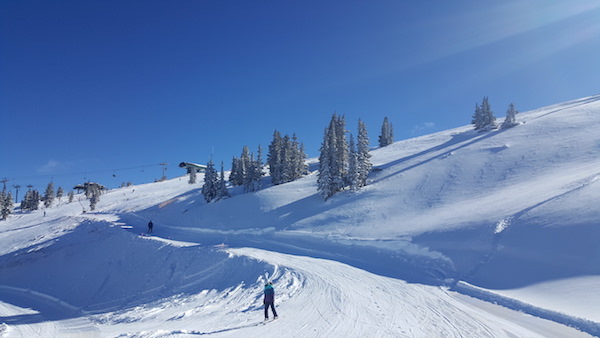 Famous for having naturally divided ski terrain and uncrowded slopes, Copper Mountain has the right run for everyone. 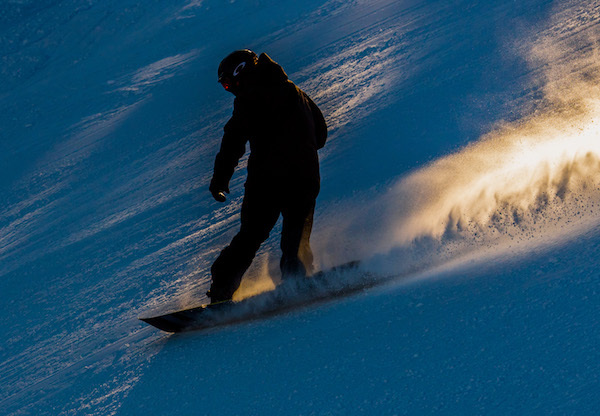 Skiers and snowboarder enjoy open bowls, endless tree runs, and rolly groomers. 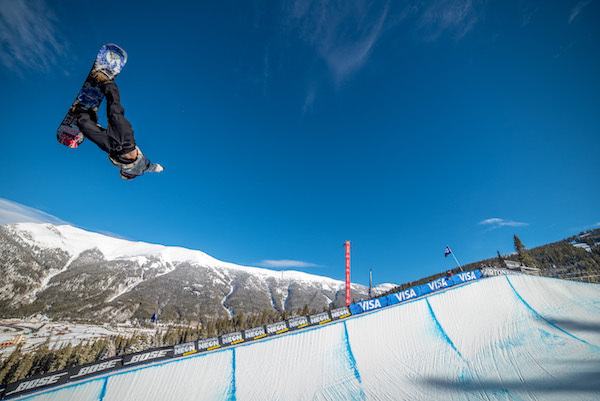 And Copper’s massive terrain park and high-elevation Superpipe open early in the ski season and stay open until late spring. We’re here to help find the best ski runs at Copper Mountain. It’s easy to see why Copper Mountain Resort is a local’s favorite. Across Copper’s terrain, there are slopes that face every aspect. This ensures that you’ll always find good snow, even days after a storm. From the perfect beginner runs located on our west side, like Soliloquy, Union Park, and Roundabout to intermediate skier’s favorites, Andy’s Encore or American Flyer, Copper Mountain has it all. For the pro skier in the family, Copper’s entire front side of Sierra lift or Lower Enchanted Forest will keep you busy. Copper Mountain is a great place to soak up the 300 average days of sunshine that the Colorado Rockies enjoy each year. Soliloquy is one of the nicest, widest, gentle, rolly runs you’ll ever have the pleasure of skiing. Taking a right off of the Timberline Express Lift will take you to a short skinnier entry into Soliloquy. After the run takes a turn to the right, the real fun begins as it opens up into a paradise for carving or just practicing your stem christies. Roundabout is another of our beginner favorites, although you can access this run from the left edge of soliloquy, there is a bit of scooching involved if you try to take it from there. Roundabout is accessible from two different lifts. For the first timers, you start at Kokomo Lift and have some nice mellow beginner skiing that is short enough not to tire you out. There are food and warmth at both the top and bottom of the Kokomo Lift. Taking the next lift above Kokomo, Lumberjack, you can access the best part of Roundabout, where you will find no crowds and a groomer that ungulates just enough to keep you on your toes and smiling. A ride up the Rendezvous Lift is a must do while at Copper. This lift takes you to a mountain saddle where you will find expansive views of Crystal and Pacific Peak. 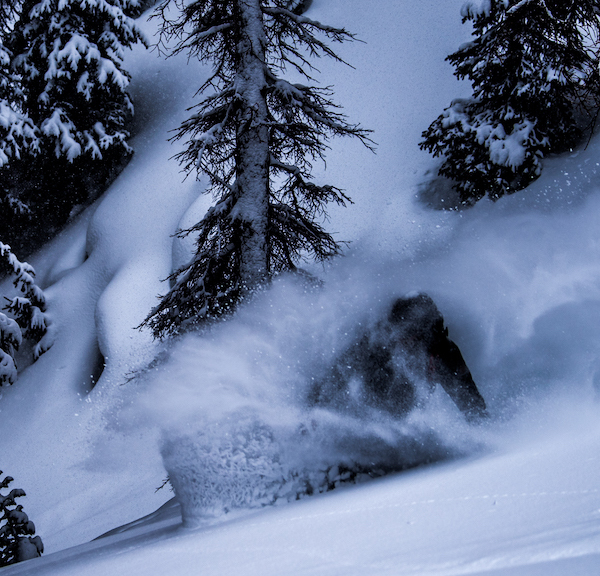 You can also watch the Copper Locals ripping down Union Peak or Upper Enchanted Forest. The run itself is a true green run, way up ontop of our beautiful mountain. Don’t miss it! Andy’s Encore is one for the early risers, a run to test out your tuck, or maybe carve and keep your speed in check. While riding up the Super Bee Lift first thing in the morning, you can always count on a majestic view of the sun touched Ten Mile Range. Dropping straight into Andy’s Encore on a day with a little bit of fresh snow is a memory that will last a lifetime. If you want a little more steepness, look for Rosie’s Run on the right about two-thirds of the way down to finish it off. American Flyer is not just a high speed bubble 6 chair, it’s also a great intermediate way to the Timberline Express Lift. This run drops off to the left from the top of High Point. Usually groomed every three days, American Flyer changes how it will ski depending on when you catch it. There is a cat track floater on the left and if you stay hard right, you will find yourself in Mario Land Trees which are the most open of all Timberline Express’s trees. Sierra Lift services some of Copper Mountain’s most fun terrain. The front side has of Sierra Lift has everything from steep moguls to steep trees. You better be on your game here because everyone’s watching you from the lift! If you are looking for some air, the leaning tree jump is skier’s right of the lift, a fun air with a long landing. For those not ready to be in the spotlight, Gold Digger, Coleman’s Retreat and even Timber Ridge take you down the backside of Sierra to the Timberline Express for a run that has a little of everything along the way. Lower Enchanted Forest is tucked away around the side of Copper Peak. After taking a right off the Excellerator Lift you hang as high as you can as you head toward the Storm King Lift. As you ski just under Storm King stay high above Hallelujah bowl and you will see the sign for Looking Glass and Slip-Not, the two named runs of Lower Forest’s vast tree runs. If you can survive the gnarly traverse, this area has some of Copper’s best late day sunny tree skiing. Tucker Mountain is the north facing part of Copper Bowl. Accessible by either an hour hike or free cat rides which are available on weekends and sometimes during the week, look for the flag on top of the Motel 6 Ski Patrol shack to know if the cat is running that day. With limited access and its northern exposure, Tucker Mountain always has some of the best snow Copper has to offer. From the easiest way down, the Nacho, to the showboat chute, the Taco, to the least skied and maybe best snow to be found in Freemont One, Tucker Mountain has something for the advanced skier if you have the motivation. Double Zero to Highline – Double Zero is arguably the steepest section of Copper Mountain. Located under the Resolution Lift, this run is a make it or break it shot with people watching your every move. With an air or two to be had if you look in the right place to some giant moguls. Not for the faint of heart, Double Zero dumps you into Highline so you can continue showing off for all of your fans as you bump it up… all the way to the base of Resolution lift where the fixed grip Triple will let you rest your tired legs. 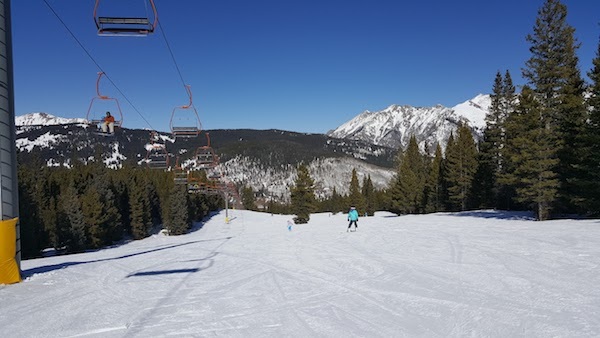 Thanks for checking out the Copper Mountain’s best ski runs with Copper Vacations, the local team with Copper’s best condos and vacation rentals.